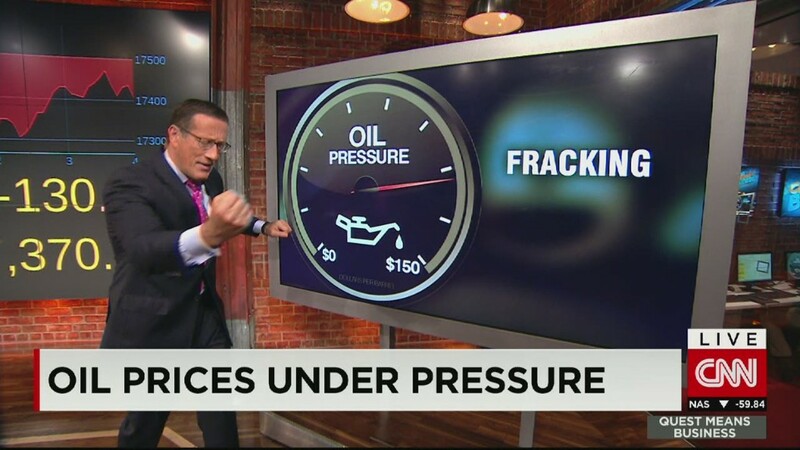 What is weighing oil prices down? The days of $100 oil prices may be gone forever. 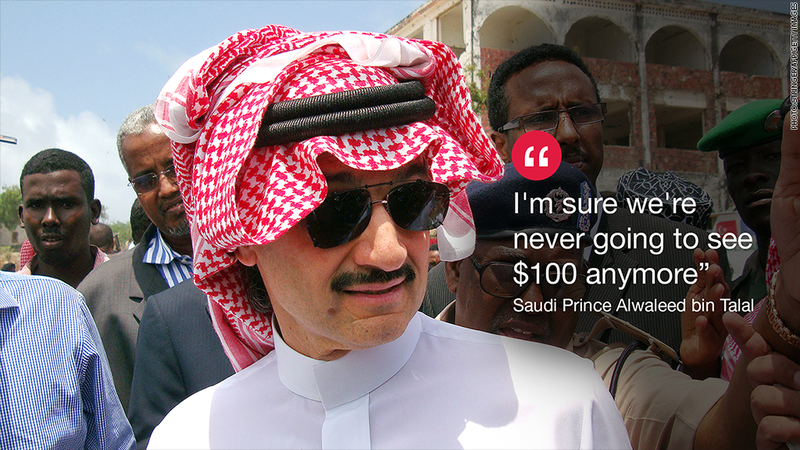 At least that's what Saudi Prince Alwaleed believes about oil, which plunged below $46 a barrel on Monday for the first time since the spring of 2009. The well-known billionaire investor recently told USA Today he's positive we're "never" going to see $100-a-barrel oil prices again. "There's less demand, and there's oversupply. And both are recipes for a crash in oil. And that's what happened. It's a no-brainer," Alwaleed told the paper. The comments from the prince mirror ones by Ali al-Naimi, the Saudi oil minister who said $100 oil may be a thing of the past in December. Cheap gas here to stay? If those predictions are accurate, it could also mean gas in the U.S. might not go above $3 again. Thanks to the oil meltdown, the national average price of gas has plunged to $2.13, compared with $3.31 a year ago, according to AAA. Back in 2008, oil broke through the $100 level for the first time, leading some to predict prices would spike to $200 due to surging demand from China and India. Then oil plummeted to $34 during the Great Recession before rebounding sharply. Crude bounced between $90 and $110 over the past three years, trading above $100 as recently as late July. But that's when prices collapsed under the weight of a supply glut caused by North American production, including U.S. shale companies that need higher prices to be profitable. Shale is feeling the pain: Alwaleed said one "positive side effect" of the oil crash is it will allow Saudi Arabia to see "how many shale oil production companies run out of business." Already, U.S. energy companies have dialed back their spending plans, cut dividends and laid off workers. Analysts believe some shale companies won't survive the drop in prices. Now there are signs shale companies are cutting back on drilling. During the first week of 2015, oil companies reduced horizontal drilling for oil for the first time in the Bakken, Eagle Ford and Permian shale plays, according to Rystad Energy. "'Rigs that count' have been resilient until now, but now these rigs are also being idled," said Per Magnus Nysveen, head of analysis at Rystad. Share your story: Do you work in the oil or gas industry? Now what? Investors continue to guess where oil is going next. After showing signs of stabilization last week, oil tumbled another 4% on Monday to $45.90. Some oil watchers believe prices could plunge as low as $30 due to oversupply and sluggish demand. Goldman Sachs said on Monday oil may need to trade near $40 a barrel for most of the first half of 2015. That would keep capital on the sidelines and slow down supply growth to rebalance the global oil market, the bank said. Once oil finds a bottom, Moody's senior economist Chris Lafakis thinks the black stuff could surge all the way back to $80 by the end of the year. Alwaleed concedes a rebound may happen eventually. He just doesn't think it'll carry oil all the way back to $100.